There is nothing better than a serum to quickly deliver active anti-aging ingredients deep through the skin layers. Although some people experience dryness when using a serum, I say just use an emollient rich moisturizing cream after applying the serum. It's the "layering technique" that provides aging skin with the range of vital nutrients it needs to repair itself. Who said that you can only use one product at a time? 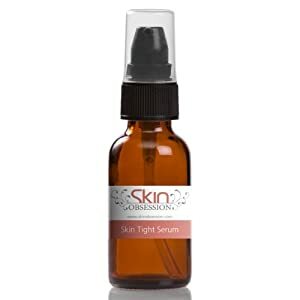 This DMAE serum uses a variety of botanicals and natural nutrients like carrot oil, ALA, and vitamin C. It's a bonus that it is such great price too.